Something else for the Grand Plan? 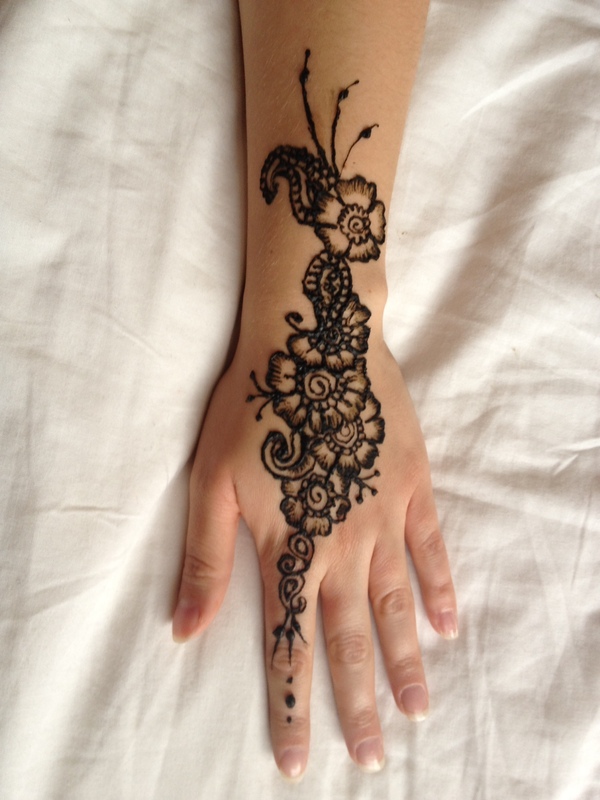 I’ve got a new thing for the Grand Plan – henna parties! I did a 4 hour henna course today with Tiba Training. Had a great time and it was really interesting. Harder than I thought it would be. I quite fancy doing something similar – I need a bit more practice though (any volunteers?!). See below for my attempt at my own hand!